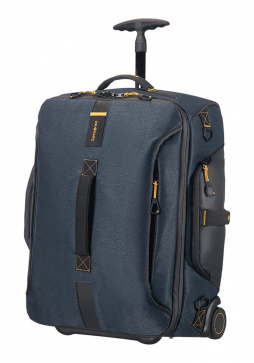 Samsonite Paradiver Light is a lightweight collection of duffle bags and backpacks, packed with practical features this range of luggage is the perfect alternative to traditional suitcases. 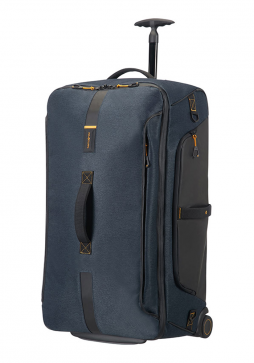 This Paradiver 55cm Wheeled Duffle Bag doubles has a backpack making it a very versatile bag. 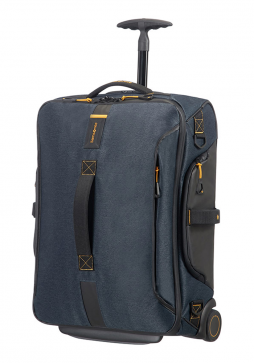 Samsonite Paradiver Light is a lightweight collection of duffle bags and backpacks, packed with practical features this range of luggage is the perfect alternative to traditional suitcases. 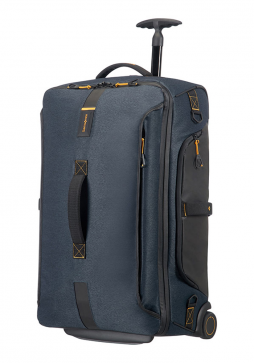 This Paradiver 55cm Wheeled Duffle Bag meets the size requirements to be used has cabin luggage on most airline.